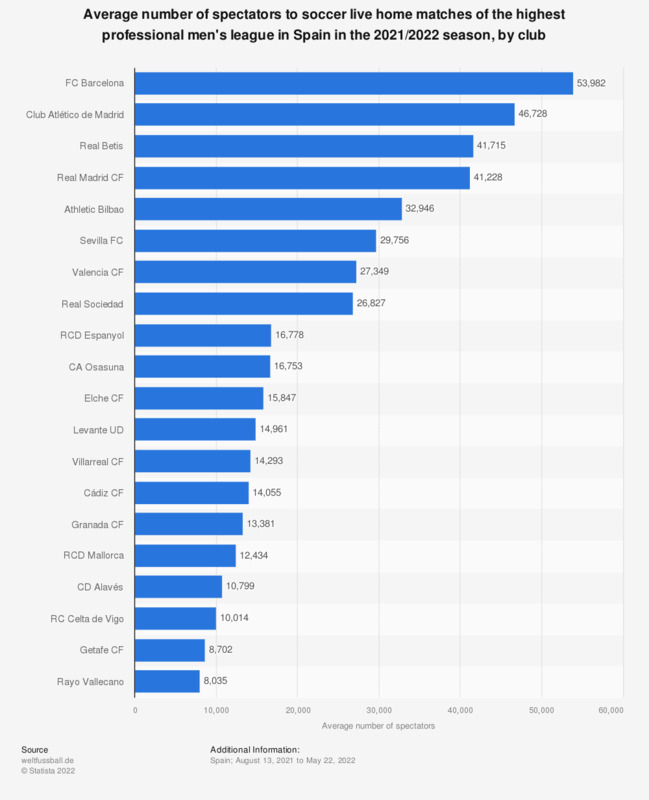 This statistic presents the average attendance at home matches in the Spanish football league 'La Liga' in the 2017/2018 season, by team. In that season, matches in Real Madrid's Santiago Bernabéu stadium attracted an average of 65,653 spectators, closely behind FC Barcelona's Camp Nou with 65,824 spectators on average. Atlético de Madrid, with around 55,500 spectators on average, ranked third.